We need to talk about “gimmicky” beers. You know, the ones with cookies, cereal and the like thrown in. I see and hear a lot of disproportionate anger about them; especially of course, on social media, which seemingly explodes daily over some new somebeer-or-other. 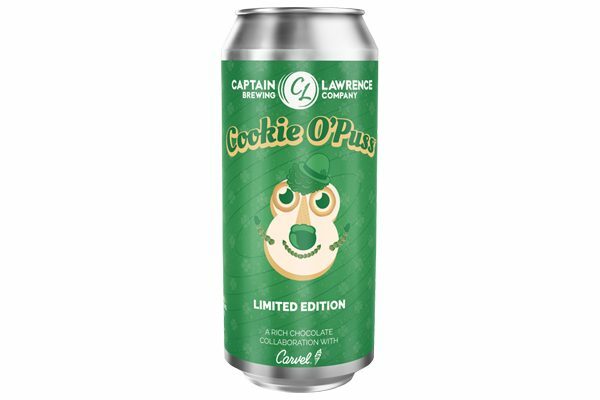 Even I found my hackles momentarily raised last week, with the arrival of Captain Lawrence’s Cookie O’Puss. If you don’t know — and if you don’t, take a moment and appreciate the life choices that brought you to a place where you don’t have to know — this is a “Pastry Stout” made with the ice cream, fudge and “chocolate crunchies from the famous (infamous?) ice cream cake, released to celebrate Carvel’s 85th Anniversary. I don’t know why this one got to me: If you’ve shopped at Arrowine, you know I try to balance carrying what I like and find interesting with the trendy beer releases customers are looking for. Also, I’m a comic book reader and a wrestling fan — I can’t put on airs like I don’t appreciate a good gimmick. Truth be told, I usually find my way into enjoying them, especially the Stouts. But here I was, drafting last week’s Newsletter, ranting about shameless cross-promotion and “synergy.” Getting mad is easy; staying mad takes work. So I took a breath, and as I did some thoughts came to mind, coalescing into something that goes like this: Every beer style alive today has survived, thrived even, because of marketing. Discovering that the origin story of IPA we all are told is a myth is a rite of passage for beer geeks, but it resurrected a style that continues to carry the segment. Porter was named for the working class drinkers partial to it in the 17th and 18th centuries; the coding of that name, the imagery it evokes, allowed Porter (and it’s offshoot, Stout) to be marketed to all classes over the past century, as it is today. The paler, lighter Festbier had largely supplanted Märzen as the Oktoberfest beer of choice in Munich by the 70s. American breweries used the name to market a more exaggerated approximation of the “original” style — essentially what would otherwise be called Amber Lager — which came to be known as “Oktoberfest” here in the States. More honest efforts to explore and recreate accurate Märzen Lager recipes as Oktoberfest releases are a relatively recent phenomenon. TL;DR everything is copy. Or, to paraphrase Alan Moore with my greatest apologies: Milkshake IPAs and Pastry Stouts are imaginary styles. Aren’t they all? I deleted my rant, made a dumb meme and moved on. Nothing to get mad about. 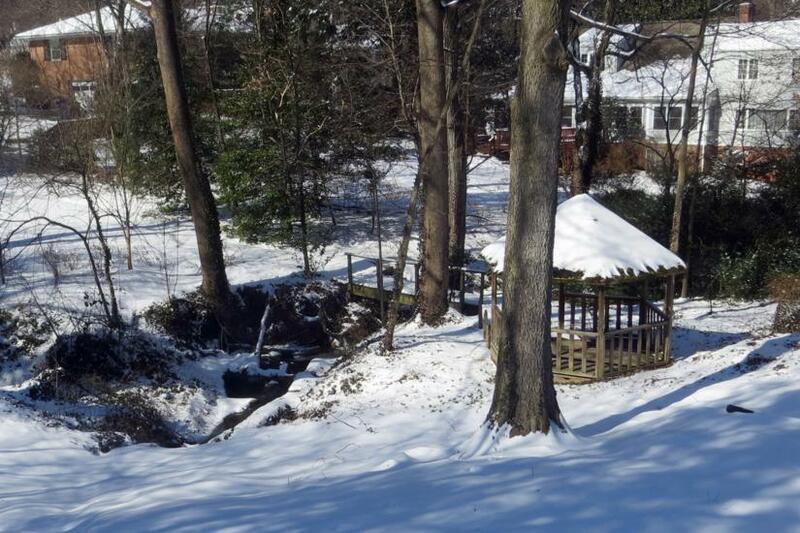 It’s that magical time of year, where flashes of not-miserably-cold weather fool a percentage of us in the area into thinking spring is here, and that we won’t get tagged by one more winter outburst. As we dare to venture from our hovels and spend time with — hold on, what was that word? Ah, yes — “people” again, the occasion might call for something not quite packed to the gills with hop material. With that in mind, here are some recent arrivals I’ve been recommending for those looking for tasty, non-IPA/hop-driven options — with one partial exception (you’ll see). Wallops Island, from Sterling’s Rocket Frog Brewing, checks a few boxes for me. It fills a need I’ve had here at Arrowine for a classic American Brown Ale, for one. It’s also is a great example of the style, with loads of caramel, chocolate and coffee malt flavors but dry, as it should be. It picked up a Bronze medal at last year’s Great American Beer Festival, to boot. Not bad for a beer from a brewery in its first months of operation. 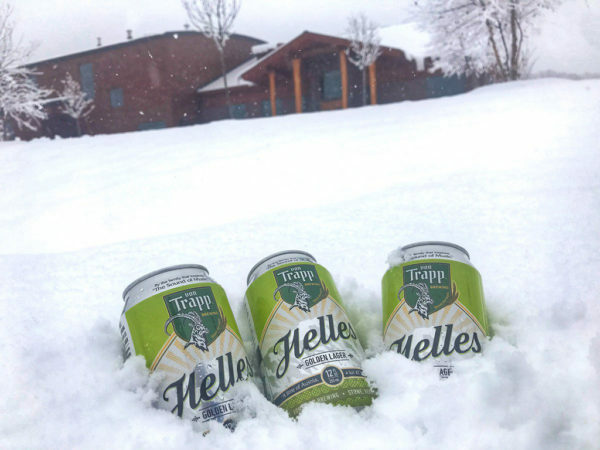 Vermont’s Von Trapp Brewing (yes, those Von Trapps) has been available in Virginia for a little while now, specializing in Lagers that are both well priced and readily available. The Bohemian-style Pilsner and German-style Helles are both done in the classic style: the Pils has a crisp feel with pleasing floral/peppery aromas from its hops — but not IPA-level hoppy by any means. The Helles adds light, bready malt notes to grassy, clean Noble hop flavors. Bonus: both are now available in cans! So this’ll be the outlier on the list; nearly twice as strong as the rest and with a notable dry-hop addition, but too cool not to mention. Richmond’s Väsen Brewing Company combines a number of influences, from Belgian Farmhouse beers to American IPAs, with ingredients mixing and matching as much as styles. Savvon, the first beer of theirs to hit Northern Virginia in package, is a great example: a Brettanomyces-fermented, bottle conditioned Farmhouse Ale dry-hopped with a pair of Southern Hemisphere hops — Galaxy and Enigma — typically found in Hazy IPAs. Tropical hop flavors and aromas play well with the funky, fruity Brett character. An easy way to win my heart, as a brewery, is to produce a solid version of just about any British beer style. Asheville’s Green Man Brewing does just that with their ESB, with it’s crackery/bready/fruity malt character and traditional level of hoppiness. Since I first got to try this about 8-9 years ago, I’ve wanted this beer in Virginia. Finally, it’s here and it’s not leaving Arrowine’s stock if I can help it. Let me know in the comments if you’re looking for something new and I’ll try my best to make a suggestion that works. Last time, we looked at Hazy or New England-style IPAs, and how they’re attracting new drinkers, and why that might be the case. This week, I wanted to drill down on one of the most important techniques used in making those beers: dry hopping. The science of brewing is starting to catch up with the effects techniques like dry hopping can have — some of which run counter to everything we thought we knew about how hops worked. First, let’s knock out some basics. Like, really basic — I’m not a scientist. Not officially, anyway. Hops impart different characteristics in a beer depending on when they’re added and how much are added. Hops are usually added to the wort — the sugary liquid made when you soak your grains in hot water — while boiling it. Hops added earlier contribute bitterness, as their alpha acids stay at temperature long enough to isomerize. The later in the boil hops are added the less bitterness they impart, and the more their unique flavor/aromatic qualities emerge. 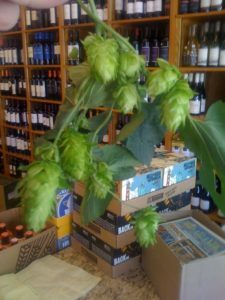 Dry hopping is used colloquially to refer hops added once the wort is cooled, whether during primary, secondary or post fermentation (prior to packaging or in keg). The idea is to punch up the hop aroma and flavor notes, and because they aren’t boiling, you get all that flavor and aroma without making the beer more bitter. Scientific advancements over the past couple of years are refining our knowledge of dry hopping’s effects. A 2016 study found that dry hopping can, in fact, contribute bitterness to beer: Sapwood Cellars co-founder Scott Janish breaks down the study well on his blog, but the TL;DR version is that there are specific oxidized alpha acids in hops called humulinones. These humulinones are much more soluble in beer than the major alpha acids, but, being about 66% as bitter, can contribute a “smoother” bitterness than that of isomerized alpha acids. In a later post, Janish digs into findings that reveal how beers rated under 20 IBU (International Bittering Units) can become more bitter through dry hopping, while those over 30 IBU can become less bitter. The wildest finding to me is that because dry hopping increases a beer’s pH, it can boost the perceived bitterness of the beer even if it doesn’t increase its IBU. 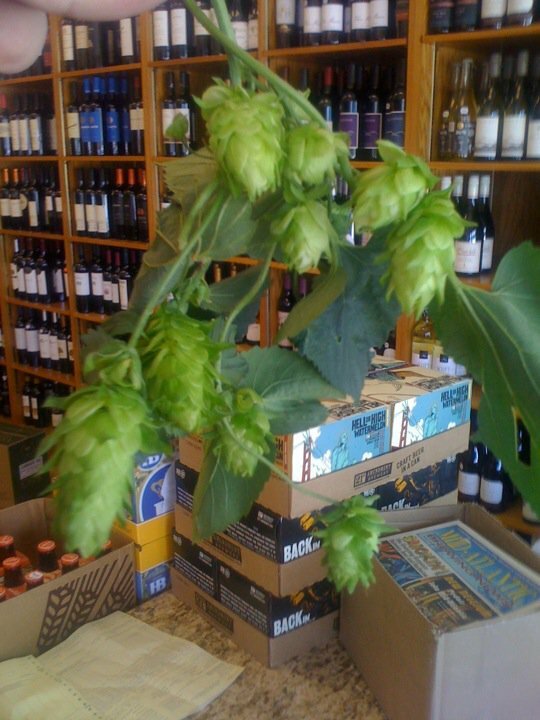 Hop creep is when dry hopping triggers additional fermentation in a beer. That can happen because enzymes in the hops “can break down the unfermentable long-chain sugars to simple sugars”, which can trigger fermentation if any yeasts remain present and active in the beer. So, wondering how a “zero IBU” NEIPA still has some bitterness to it? Wondering why that Hazy IPA you like can be inconsistent, a little stronger some times than others? Look to the science, friends. We still have much to learn. 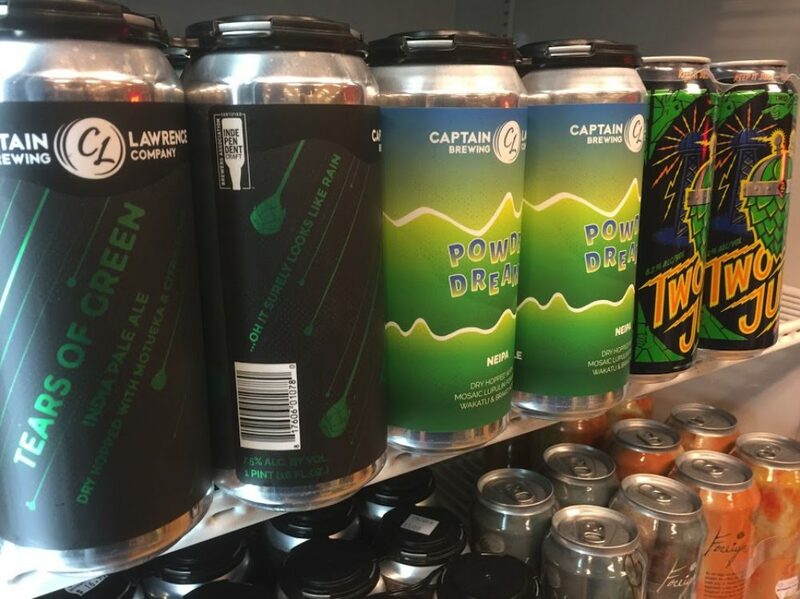 The rise of Hazy/Juicy/New England-style IPAs was probably my first “old man yells at cloud” moment as a beer “professional”, or whatever it is I am. They weren’t bitter, and the “haze for haze’s sake” thing was almost immediately obnoxious to me. It felt like style was trumping substance, not to mention the difficulty in keeping up with the tide of frequent new releases. The thing that might’ve irked me the most was that I really liked a lot of the beers that kicked off the movement, and have enjoyed many that followed. To name only a few: The Alchemist’s Heady Topper is great, and if anything I enjoy Focal Banger even more. The Lawson’s Finest Liquids beers I’ve tried have been excellent. I adore Two Roads’ Two Juicy, Solace’s Partly Cloudy and mostly anything Commonwealth Brewing Company puts out, and have been on a recent kick with Fat Orange Cat’s Write Drunk Edit Sober (pictured — how did they know?). 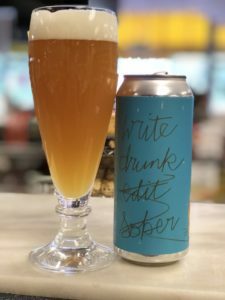 So, as usually happens once I get over myself, I found myself far more open to new takes on the style, and more easily able to discern what I liked/disliked in a Hazy IPA, and whose versions I tended to prefer. Not much of a surprise there. What did surprise me was something I started noticing before, but especially after I rejoined the staff here at Arrowine: how many wine drinkers were getting into Hazy IPAs. Actually, the idea coalesced observing our own fearless leader himself, Doug Rosen. Where just a few years ago, you couldn’t pay him to drink the average IPA, now he’d try new Hazy IPA arrivals and note their flavors, and balance. This threw me for a loop. What balance? I would think. There’s little or no bittering hop here; little in the way of malt character — where’s the balance in that? But it wasn’t just Doug saying things like this; a number of our customers, especially our more wine-centric ones, were finding themselves enjoying IPAs, many for the first time. I realize now that I was thinking of “balanced” IPA in terms of what it used to be — which I still love, mind you — back in the days of the IBU wars, when the more aggressively bitter your IPA was the more sought after it became. With an emphasis on low bitterness, fruity aromas/flavors and specific varietal characteristics (from hops rather than grapes), Hazy IPAs are a great gateway beer for wine fans, many of whom are discovering that they didn’t dislike “hoppy” beer so much as overly “bitter” hoppy beer. So, scoff at that orange juice-looking beer on Instagram (like I still do at more egregious examples), but bear in mind that it and others like it are expanding beer’s audience and consumer base at a time when between an explosion of new breweries, continued growth in hard liquor/cocktails and the looming competition of legalized marijuana (more on that at some point), new consumers are more important and more difficult to draw in than ever. Huh. This is kinda wild, no? Hello there, denizens of ARLnow.com. It’s been a while. For those of you who weren’t here the first time around, my name is Nick and I used to write a column here back when I was the beer buyer at Arrowine. Now that I’m back at Arrowine — which I didn’t expect to happen but has been great so far — I’ve been asked to jump back in the pool here, which I really didn’t expect. So it’s been what, almost four years? How are you all? What’s new? I’m back at my old job but my life couldn’t be more different: I’m a dad now, for one thing, which is awesome. There are a whole lot of restaurants in Arlington that used to be other restaurants. It’s been nearly whiplash inducing trying to keep up with who has been opening and closing over the last couple years. The beer scene in our area is a lot different now, too. So. Many. New. Breweries. That’s the story: new breweries popping up in every corner of the area. With new breweries and new releases coming out week after week, it can be a little overwhelming to try to follow along in the era of FOMO. What hasn’t changed is the continuing hunt for the latest and greatest, the rarities and nerdbait from all over the country — nay, the world. But while it seems these days you can pick up a dozen new IPAs during any given week if you like — and don’t get me wrong, I will not discourage you from doing so — there’s a lot more happening than just Haze. I don’t really know yet where the column is going this time around, which I guess means that hasn’t changed from before either (lolz). I’d like to profile these new local breweries, so you might get to know them better. I might occasionally “think out loud” about some of the trends we’re seeing in beer, why they might be happening and where they might be going. And, of course, I’ll be profiling beers that I come across as they arrive here at Arrowine, or in my travels, which are notably fewer and further between these days — again, I’m a dad now. Also, when available, I’ll be jumping back into the comments with you all. Feel free to ask non-cheese-cutting-related questions and I’ll do my best to answer them. Let’s have some fun, and I’ll see you next time! 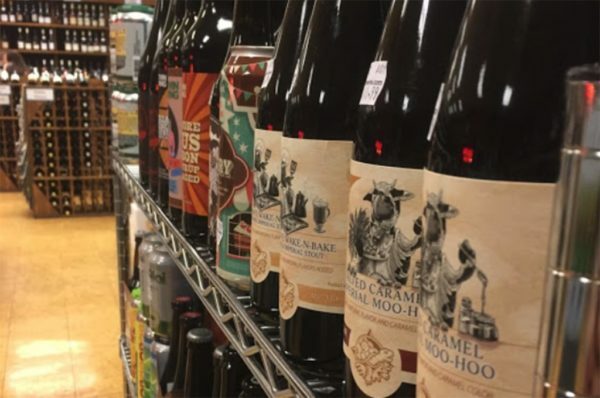 Arrowine (4508 Lee Highway) and Ladies of the Vine, a group of female wine importers, will be hosting a free tasting event next Sunday, Jan. 24. From 1-4 p.m., there will be four separate tasting tables, with wines from all over the world including Portugal, South Africa, Germany, and California. Ladies of the Vine are a group of importers, representing portfolios from around the world, who enjoy each other’s wines as much as each other’s company. They formed Ladies of the Vine to showcase all of their wines together, hosting events to give the attendees a greater experience and an around the world venture with their individual expertise. Attendees will be able to purchase or order some of their favorites from the tasting at discounted prices. RSVP for the event via Facebook. The preceding was a sponsored article written by ARLnow.com for Arrowine. Goldstein Announces School Board Run — Reid Goldstein has announced that he’s running for Arlington School Board. Goldstein, a “longtime Arlington schools, County and neighborhood advocate,” will seek the seat of the retiring Abby Raphael. “We must be honest and diligent stewards of our community’s money and trust as we work to preserve and improve the high quality of Arlington’s schools, even as enrollment increases,” Goldstein said in a press release. I don’t know how to properly start this week’s column. I have a habit when I don’t know how to start something I’m writing — I simply start writing and see if something comes to me. There’s every chance in the world you’ll never see these words because in a few minutes I’ll know exactly the right phrase or joke to start this column off with, and I’ll simply cut this whole paragraph out and replace it. This is my last “Your Beermonger” column for ARLnow.com. The column was sponsored content as part of Arrowine’s promotional relationship with this website, and that relationship is drawing to a close. It’s an amicable parting — simply a case of it being time to move on, and I don’t believe I’ll be speaking out of place when I say on behalf of Arrowine that it’s been a pleasure to work with ARLnow.com. Personally I’d like to thank Scott Brodbeck and Ethan Rothstein for their responsiveness, dedication, and enthusiastic help as this column became a bit of a thing. You guys — the column became a bit of a thing. Originally, I wasn’t supposed to be here at all; Arrowine owner Doug Rosen penned the first pieces that ran in this space, which was meant to be all about wine. When the business of running one store while working to open another piled up, I was asked to fill in for a couple weeks to talk about beer. The response from you, the ARLnow.com readers, made me a fixture in this space every Friday. Opening the column to comments (which I’d been asking for before you guys started asking for it on the forums, believe it or not) started a wonderful running conversation that I’ve appreciated more than you know, and I found myself being told more and more from Arrowine visitors how much they enjoyed it, too. Many of you who have met me and mentioned the column have heard me say how odd a feeling that recognition is; that I write the column assuming no one will ever read it. I never quite got used to it, but I do want to thank all of you who took a moment to let me know you’d read or been reading Your Beermonger — it’s a simple but powerful thing, and I’ve greatly appreciated it. I’ve appreciated every interaction in the comments — even the ones from folks who disagreed or outright disliked something I had to say. Writing about beer and having these conversations in the comments week after week has made me continually re-evaluate what matters to me when it comes to beer, and most importantly why. All of you have made me a better beermonger through this process. Thank you. The indispensible Tom Cizauskas of Your For Good Fermentables is a stalwart of our area’s beer industry, a respected beer professional, and a damn good writer to boot. He takes a look at beer issues both local and national. Our area’s growing beer scene can be tough to keep pace with. Two must-reads are the outstanding DCBeer.com, and Virginia Beer Trail. Saving me from finding one more angle for a Christmas-themed column, I realized that the 26th will mark the last “Your Beermonger” of 2014 — which means it’s once again time for my little-anticipated, completely unscientific Beers of the Year column. 6. Abita Bourbon St. Imperial Stout: A chocolate-toned, boozy bit of decadent fun that over-delivered in every aspect. There were some criticisms that Bourbon St. was a little “thin,” but amid a sea of unbalanced, milkshake-y, rich for the sake of richness Imperial Stouts, even if Bourbon St. seemed light by comparison (I personally didn’t find it so) that isn’t necessarily a knock on it. In any event, Bourbon St. was an important shot across the bow of the beer world from Abita: the Louisiana brewery hasn’t been around for over 30 years by accident, and still has some tricks up its sleeve. 5. Ballast Point Grapefruit Sculpin: Sculpin may not be the perfect beer, but it’s certainly a perfect beer — representing the best in West Coast hop-obsession in an IPA that doesn’t overwhelm in terms of bitterness or ABV. Sculpin wants for nothing, and yet the addition of grapefruit rind does something magical to this beer. The grapefruit doesn’t necessarily make Sculpin better; it’s just more wonderful, more fun, more lighthearted. After trying Grapefruit Sculpin at Stone’s Anniversary Party this summer, I worried we’d never see it in Virginia. A late-December shipment barely qualifies as a cameo in terms of sating demand, but here’s hoping it’s just the first of many runs we’ll see of this delightful beer. 4. Sixpoint Sensi Harvest: 2014 was a big year for Sixpoint; a repackaging/rebranding effort saw its core beers move from tallboy can 4-packs to 6-packs of the sleek 12-ounce cans previously only used for bigger beers like Resin or 3 Beans. The new Sixpoint sixers were arriving much fresher than before, which paid off in a big way when it introduced Sensi Harvest Ale. Back in October I wrote about my love for Fresh Hop and Wet Hop beers, and it didn’t take long for Sensi to become by go-to Harvest Ale. I appreciated its combination of its 4.7 percent ABV with an intense clarity of hop character. It’s too late to catch Sensi Harvest Ale but the current Sixpoint seasonal, Global Warmer, is highly recommended. At this point in the season, we’ve all been inundated with “What to Get the __ Fan in Your Life” articles. There’s nothing wrong with that; I enjoy them — hell, I wrote one for this site last year (for Black Friday). But I’m not what you would call a “holiday” person; by this point in December, I’m a little burnt out and ready for New Year’s to come around already. So rather than focus on the best gifts for the resident beer geeks in your life, this year I’m going to recommend the best beers to help you get through the holiday season. Dogfish Head Raison D’Extra or WorldWide Stout (15 percent+ ABV): Returning to Dogfish Head’s lineup after a nearly seven year absence, Raison D’Extra is in short supply but if you’re lucky you can snag a bottle or two at retail (or visit one of the Dogfish Alehouse restaurants, who may have bottles/draft). WorldWide Stout will be harder to find; the Delaware brewery didn’t brew any this year, and what I have at Arrowine is from last year’s release, which I’ve been storing in our cellar. Both beers clock in above the 15 percent ABV mark, so they pack a punch. D’Extra is a supercharged version of Dogfish Head’s Raison D’Etre, a Belgian-inspired Amber Ale that uses brown sugar and golden raisins in it. D’Extra turns the dials up to 11, showcasing a Brandy-like quality in its youth that only mellows and becomes more elegant with time. WorldWide is a bruiser of an Imperial Stout, with intense roasted malt notes of chocolate and ripe dark fruits. At its extreme ABV level, the combination of those fruity flavors with boozy heat give WorldWide Stout a Port-like feel. It’s structure also gives WorldWide a lifespan like a fine Vintage Port; back in 2011, I drank a 2002 bottle that shocked me by how “young” it seemed. Devils Backbone Wood-Aged Kilt Flasher (8 percent ABV): The winter-only Kilt Flasher Wee Heavy from Devils Backbone is already one of the better seasonal offerings among Virginia’s breweries. The Wood-Aged version accentuates all of the great characteristics of Kilt Flasher — the balanced sweetness of the malt, the “just right” level of heat that keeps such a big, malt-driven beer from feeling too rich. A limited run, but one I hope is expanded next year. If you can find it, it’s definitely worth trying. Mikkeller Red/White Christmas (8 percent ABV): One of Mikkel’s many Christmas Ales, Red/White is a blend of a Belgian-style Witbier with a hoppy Imperial Red Ale. The two styles should clash, but instead they find an unexpected harmony: The Wit takes some of the bite out of the Imperial Red’s intense hops, while the malt in the Red Ale balances the Wit’s spicy character. The best part? Red/White Christmas comes in 1.5-liter magnum bottles. Quality and quantity! Lagunitas Brown Shugga (9.99 percent ABV): What was a batch of Barleywine gone wrong thanks to an overly exuberant addition of brown sugar is now one of the most beloved seasonal offerings of the beer world. Brown Shugga shouldn’t work — but somehow, it does in its own unabashedly sweet, hoppy, punchy way. For it’s strength, Brown Shugga is all-too easy to throw back, but that may be exactly what you’re looking for right now. Whatever you’re enjoying this holiday season, I hope you enjoy it among the company of good friends and family. Until next time. Nick Anderson maintains a blog at www.beermonger.net and can be found on Twitter at @The_Beermonger. Sign up for Arrowine’s money-saving email offers and free wine and beer tastings. The views and opinions expressed in the column are those of the author and do not necessarily reflect the views of ARLnow.com.